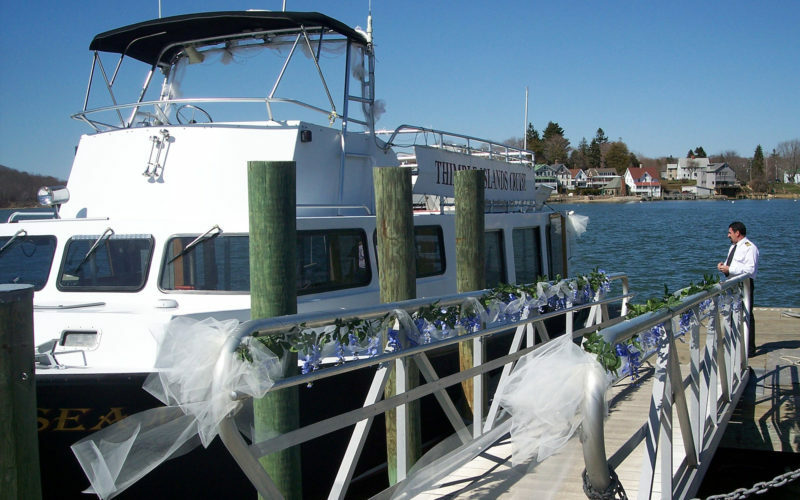 Birthdays , Weddings or Wedding transportation , Baby Showers , Office Parties , Anniversaries , Dinner Cruises or just to get some friends and family together on a relaxing cruise. We recommend 38 persons or less, for a 2 hour cruise time, B.Y.O. 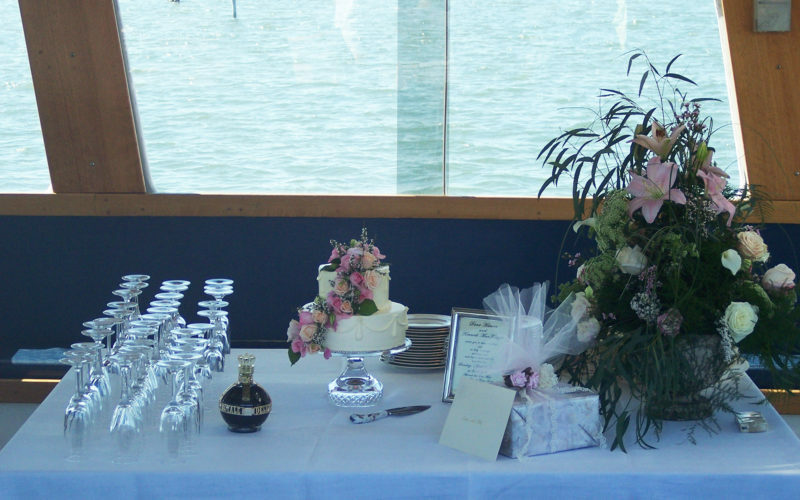 food or have it catered by one of our highly recommended caterers who will bring everything to the Sea Mist. Bar provided on board – CASH ONLY. Please no BYOB! Your event can be set up and waiting for you to board. 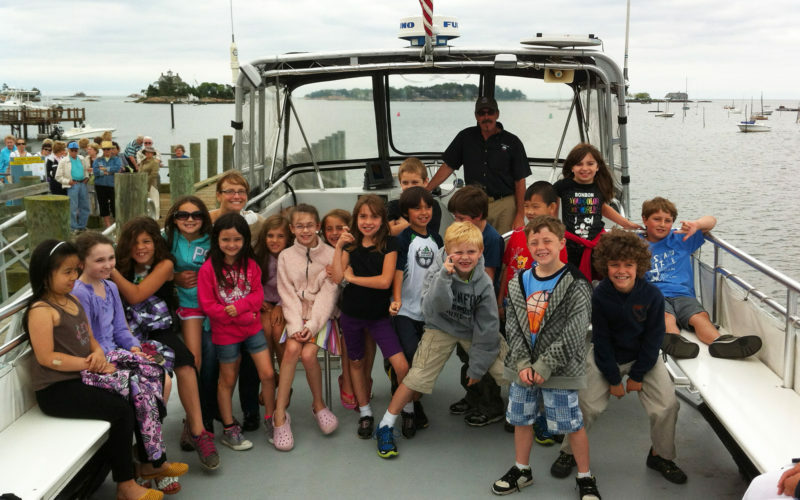 There is an additional charge of $20 per person from 40 passengers, up to 49! 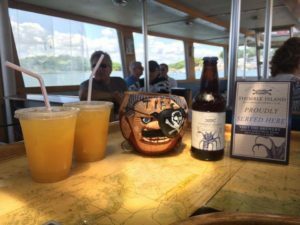 We can no longer allow BYOB as we have a CT licensed bar on board , please ask about our beverage rates for private charters. Charters by appointment. Deposit (non refundable, but transferable) required. Docking fee extra depending on locale. Minimum $25.00 for additional docking, boarding or de-boarding at boats, docks, piers or re-docking for late arrivals. Please no personal sound devices. Recommended for adults only! We have been asked by our neighbors who live, walk or work along the dock area to ask our guests when returning from a charter to drive quietly and slowly on the narrow street leading from the dock. We want to keep everyone safe so please drive slow.